When we talk about Italian food the first thing that comes to mind is pizza or pasta, right? However that’s not true, there is more to it. Italian food is all about ingredients and it’s not fussy and it’s not fancy. 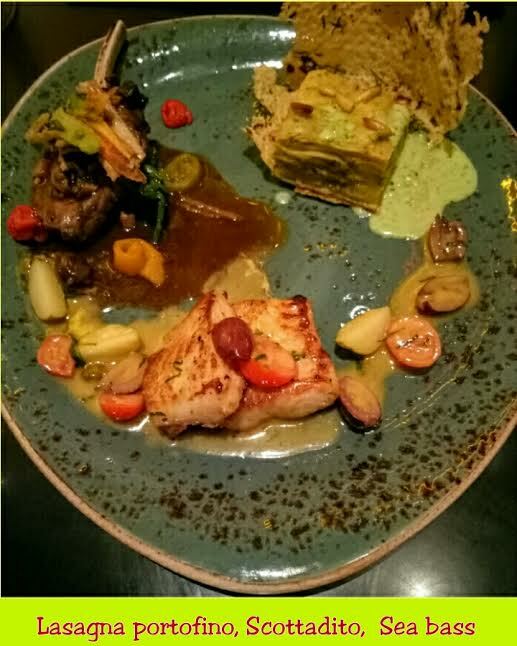 Recently got the opportunity to review the new Italian menu at Prego. Prego has a fun, colourful indoor space which is very spacious, so you’re not bumping elbows or over hearing conversations with the next table. I love the concept of an open kitchen, so you’re not bored while you eat. Seeing your food getting prepared is really enjoyable. Chef Antonello and his new menu. We were lucky enough to get to meet Executive Chef Antonello, who had taken over the scene, revamping the menu at Prego. He has increased the number of dishes from 60 to 90 to give the diner loads of options to choose from. I was surprised to learn that nearly half the dishes on the new menu were vegetarian. He explained to us that Prego’s new dishes were simple in flavour yet using the best ingredients, they enhance authentic Italian cuisine. He even wishes to cater to the local Jain population of Goregoan and regulars that frequent the restaurant. At this moment I felt so hungry, couldnt wait to try and taste all those new dishes on the menu. The dishes we savoured that day. 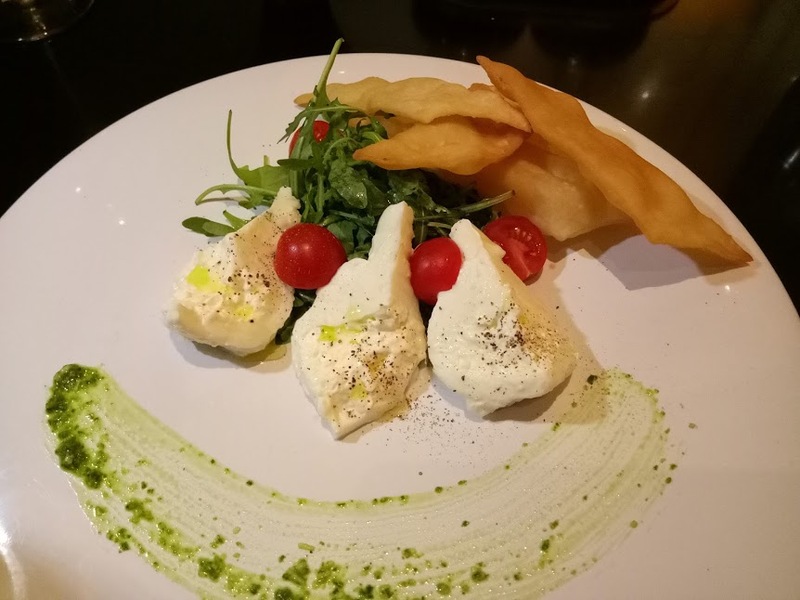 Burrata Trio – It consisted semi soft mozzarella, served with rocket salad, pesto and the classic gnocchi fritto. The seasoning was only olive oil, salt and pepper. The simplicity of this dish was the highlight, making me a big fan of it. Proscuitta – It consisted of parma ham, melon balls, mint and thin sliced cheese. This beautiful dish was a stunner, I am sure you can tell by the picture. 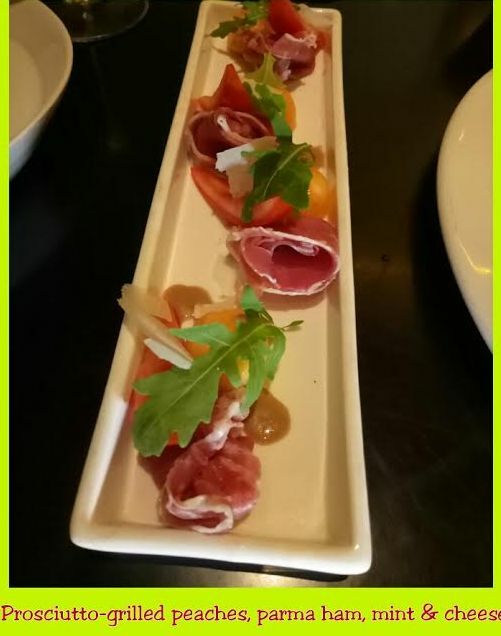 Enjoyed the salty ham and sweet melon combination, light yet so delectable. 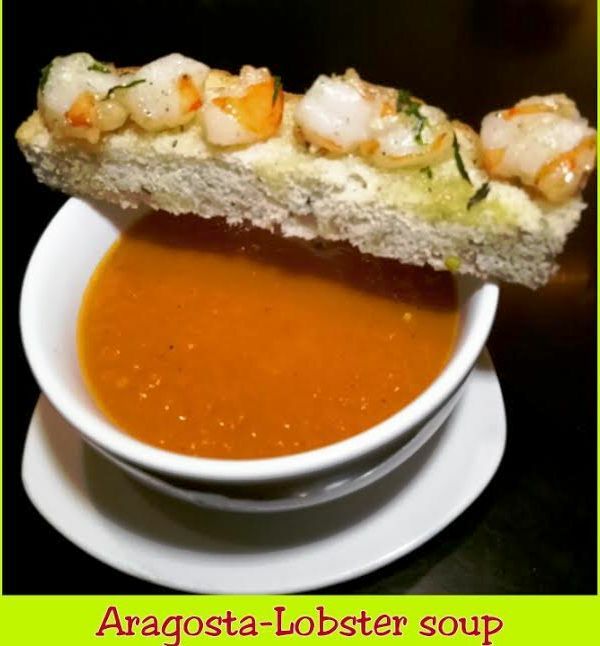 Aragosto – Nothing could be simpler, healthier and more delicious than this Aragosto ( lobster soup) served to us. With the perfect acidity and accompaniment of the lobster on toast, Aragosto was a divine treat. A special mention to the smokey sweet fresh lobster. “Main tera Hai re, tera, hai re, Jabra fan ho gayya”. Lasagne Portofino – A pesto and green bean layered lasagna, I was having for the first time. Unlike its regular tomato saucy counterpart, this tasted refreshingly beautiful. Lamb chop Scottadito – In Italian the word scottadito means burned fingers. This dish is named scottadito because the lamb chops are so delicious that you can’t resist eating them sizzling hot, straight from the grill and burning your fingers.The lamb chop was tender and juicy till the bone. Sea Bass – Salt crusted sea bass, steamed new potatoes in a fennel lemon butter sauce. Yummy is all I can say with a mouthful of it. 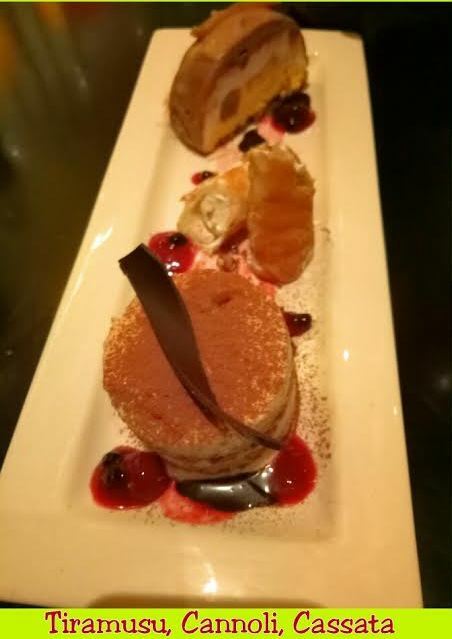 The dessert platter consists of Tiramisu, cannoli, and cassatta. Tiramisu – This was the best I have ever had till date. Chef Antonello adds Kahlúa to the concoction while making a big bowl of tiramisu. Then he scoops out the pieces directly onto the plate. It was so light and fluffy, taking you to another level of food coma. Cannoli – Cannoli is a dessert consisting of pastry shells stuffed with a sweetened filling of whipped ricotta. I consider my self lucky to have savoured this typical Italian sweet dish in total authenticity. Cassata – This cake and ice cream layered dessert served with tangy mixed berry compote was a riot of flavours. Sweet and acidic in every bite only adding to my gastronomical delight. The rhymes do come flowing out when Sweetannu is extremely happy. 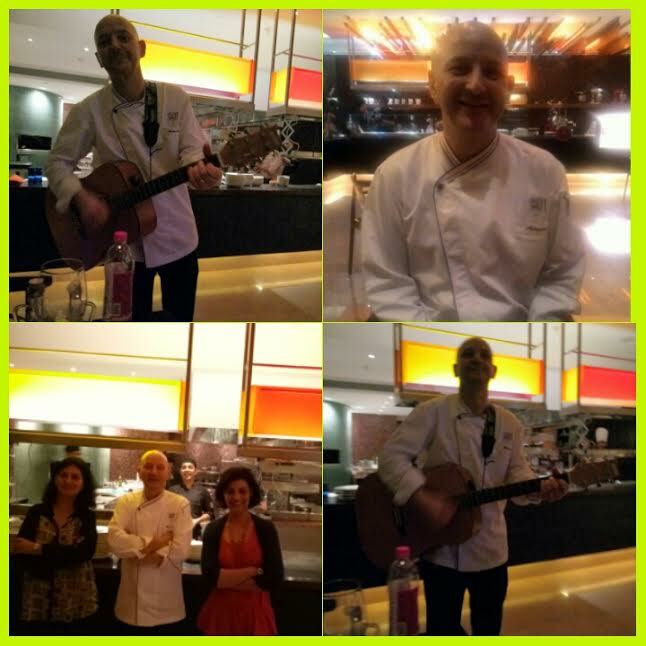 Chef Antonello surprised us with his expertise on the guitar but thats not all. He sang a hindi song “Chura liya” with depth and emotion, I couldn’t help myself sing along. The food is authentic without any compromise on taste. 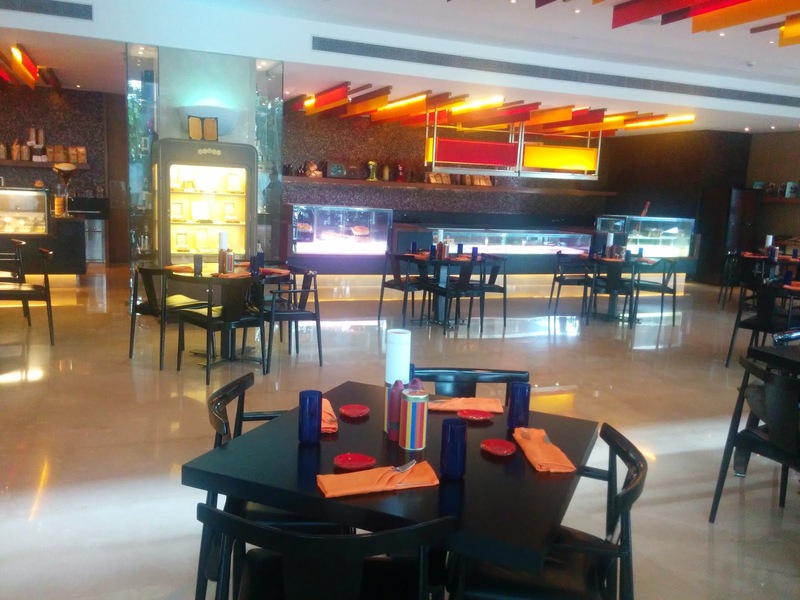 Experiment and explore the menu and go for something unheard of! Prego’s new menu has a lot of variety for everyone. Good scrumptious healthy food. Prego is Italian for ‘you’re welcome’, and we left feeling welcome, indeed, with such good, hearty food and hospitality. ← Oh, my friend Ganesha! !